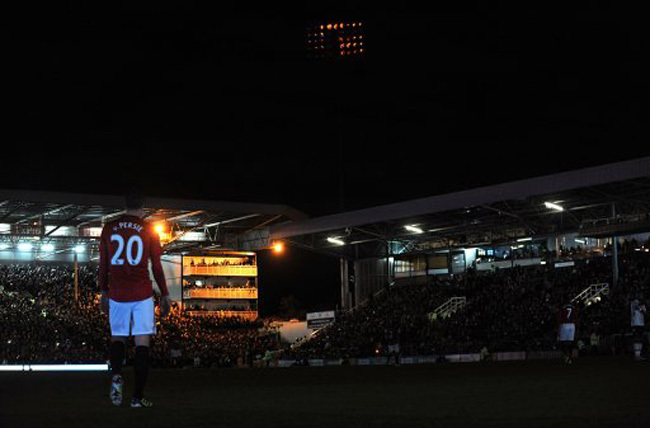 Towards the end of the first half of Fulham’s home fixture with Manchester United, the lights suddenly went out, leaving the players in darkness for all of nine minutes. They were all quickly shepherded off the pitch in case they got lost or something. But soon power was restored. I bet Rio Ferdinand walked down the tunnel to take a pic with his iPhone. We’ll probably see it on Instagram in the next few minutes. Should post a pic of his lunch too.